Local people recommend you truly great places! This is what everyone was told by their mom when they were kids. However, San Diego has a place which allows you to break this rule. It is Crab hut. They serve Louisiana style seafood and let you enjoy Southern culture. Crab hut has a unique style for the way enjoy the foods and will be a good place for the fun party with your family, friends or colleagues. 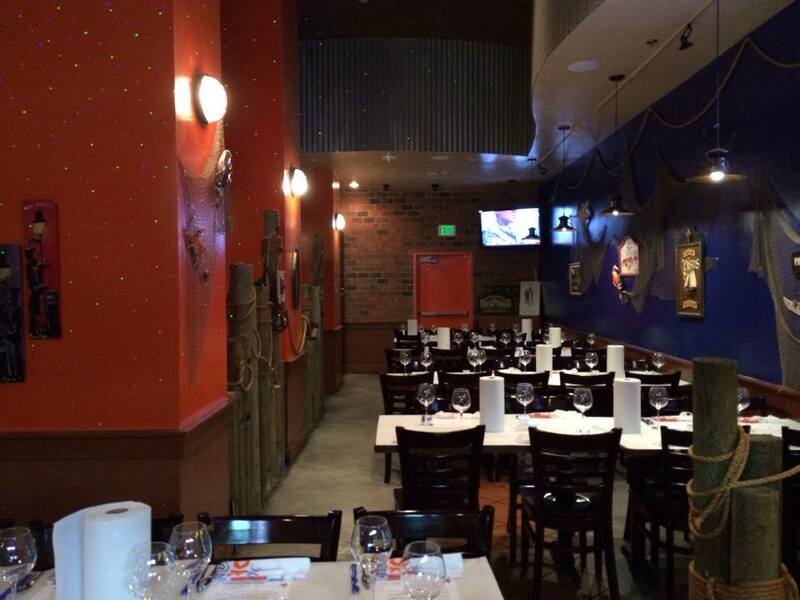 Now Crab hut has 3 location in San Diego, Mira Mesa Blvd, Kearny Mesa and Downtown. I am writing about the one at Kearny Mesa. 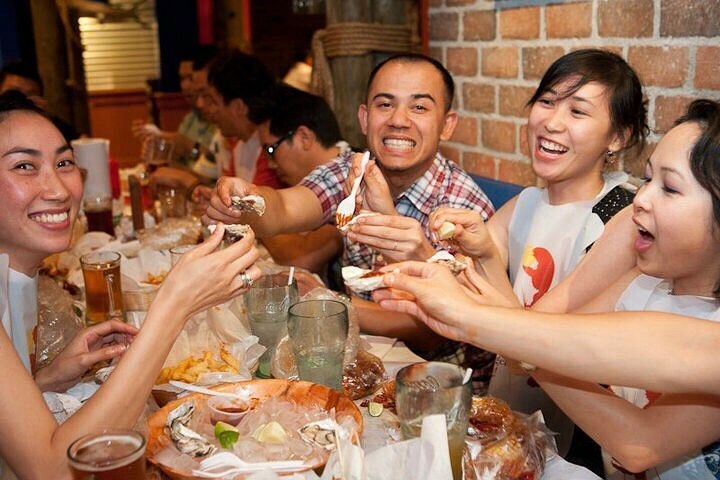 Crab Hut was opened in 2007 with a purpose to bring San Diego some Southern culture and cuisine. What is interesting about them is that their goal is “to redefine the eating out experience and engaging the guest with hands on food” and they call themselves crazy to have this concept. But they are not just crazy. Their another goal is that to keep serving local and sustainable products. They don’t simply want their guest to be mess, but want them to enjoy fresh foods as they like. They also serve the best microbrews San Diego has. Crab Hut has everything to let you have some good dirty fun. Don’t dress up when you go to Crab hut. 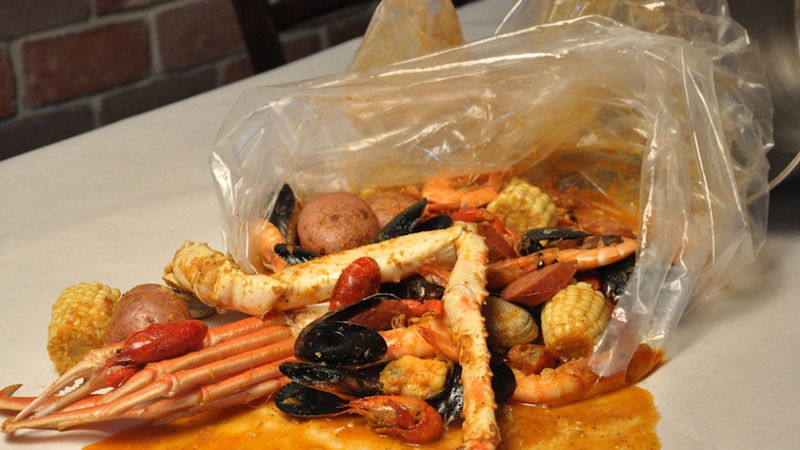 You will make a splash when you plowing through the seafood. Roll up your sleeves, give a big bite to your foods and be a bit crabby or fishy. This is how you enjoy the foods at Crab Hut. You don’t really have to care about table rules. The laid back and lively vibe, the hip hop music playing in the background put you in a good mood and help you to indulge yourself to eat like kids. However be make sure, of course it should not be the place for your first date. The seafood such as Shrimp, Lobster, Crab Legs, Mediterranean Mussel and Manila Clam, are sold by weight and all are market price. Once you choose your seafood, you will choose the sauce and its spice level. Their sauces are Cajun Sensation, Lemon Pepper, Garlic Butter, Old Bay, O-Butter and Plain, and a spice level is divided into five and I recommend you Mild one. They are hot without any jokes and don’t go for the higher level for the first time. After placing your order, the fun time will be started. The waiter provides you a bib and groves, and your seafood are served in a plastic bag. The table is also layered with paper, hence don’t hesitate. Just break into the plastic bag, peel, and crack! To eat seafood with hands is so fun and Crab Leg is a star. For the appetizer, sweet potato fries with the Cajun seasoning and Gumbo are recommended. Gumbo is a tasty soup which has chunk of seafood inside. 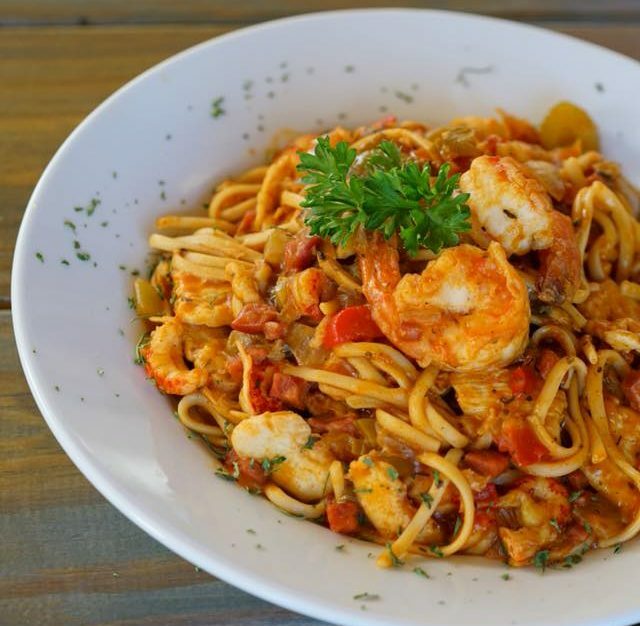 If you’re not the mood for seafood, Spicy Cajun Chicken Pasta will be a good choice. The pasta is sauteed with the homemade Cajun sauce and has chicken breast, bell pepper and green onion. Sprinkled Parmesan works very well and it is highly recommended. Happy Hour is 2-5 pm on weekdays. 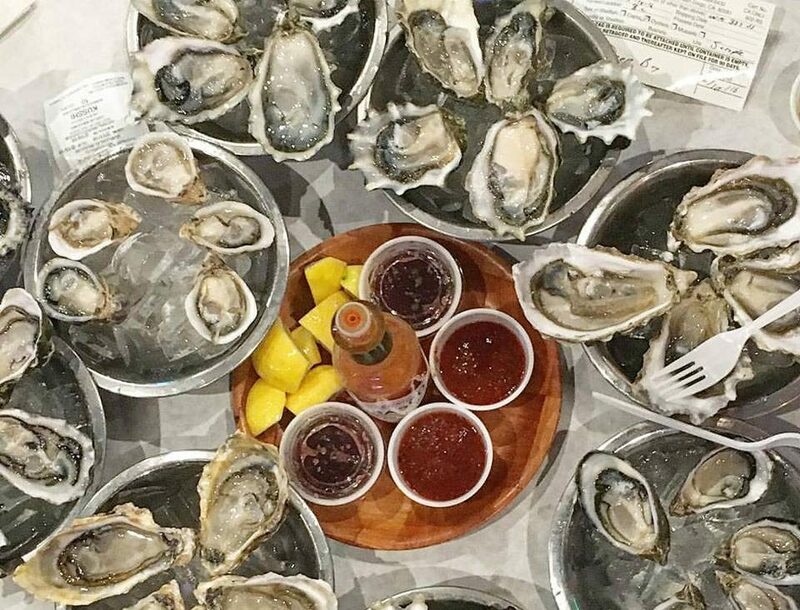 Beer on tap is only $4, and $1.50 Oyster and $.75 Wing are on the menu, and which are absolutely must order. They have Crab Poppers, Mixed Fries and Onion Rings as well. Crab Poppers has crab, cheddar cheese, and jalapenos. It is a bit lack of a crab flavor still cheesy and tasty. Order some small plates and share with a group. 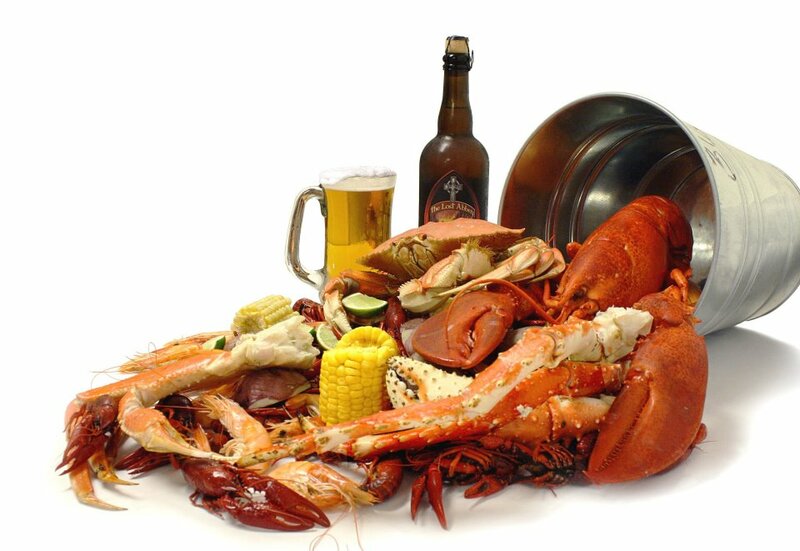 The combination of beer and fresh seafood is perfect for the party. 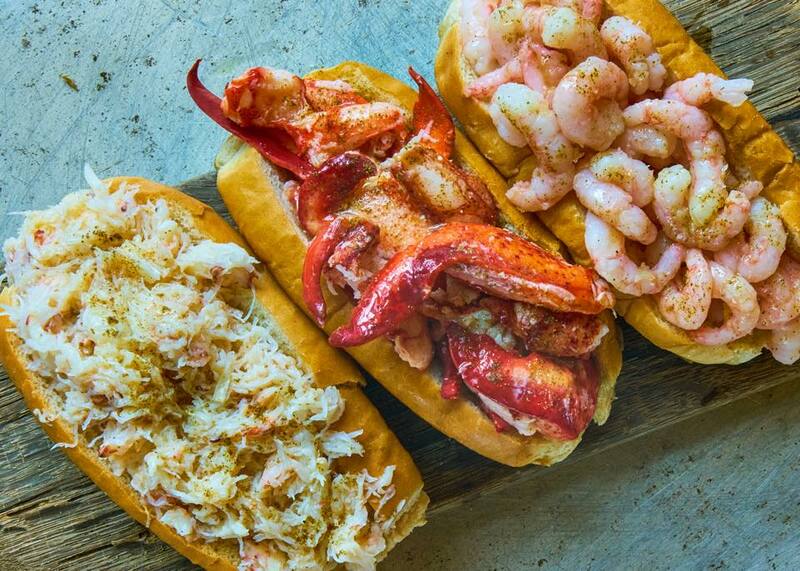 The best lobster roll place in NYC is said to be Luke's Lobster and which is the one locals recommend. Their fresh seafood are delivered from the Maine Coast and Luke's Lobster offers them at affordable price compared with other stores in NYC. If you are craving heavy, oily and tangy food in New York City, try to find a food truck with Jamaican flag on 48th St & Park Ave. The truck named Jerk Pan will give you a plate with full of meat and rice, and you can not avoid food coma there. 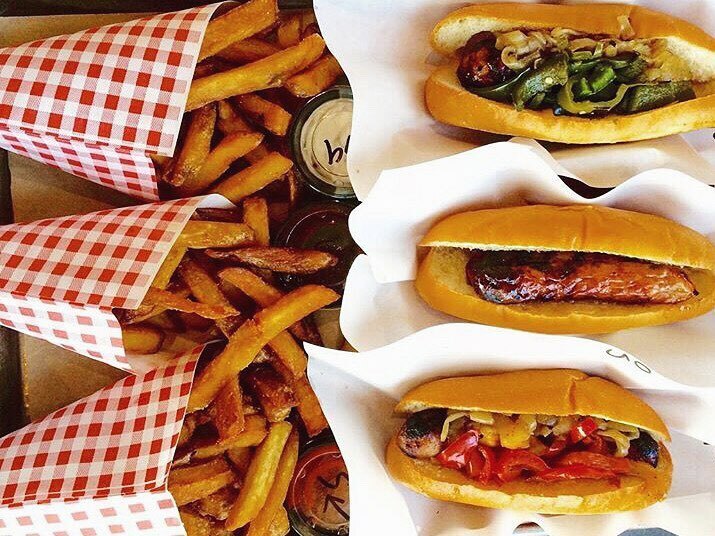 Wurstküche serves classic sausages to some exotic ones which you have never expected. It will be a quite exciting place for those who love some food adventures as well as sausages or beer lovers. 【Bern】The Very Best Hospitality, "Waldheim"
【Paris】The Best Croissant in Paris, "Blé Sucré"
© 2016 Taste The World.